Heather Reideinger earned her Master of Arts degree in Counseling Psychology – Marriage and Family Therapy at the University of St. Thomas, in 2007. She is a Licensed Marriage and Family Therapist in both Wisconsin and Minnesota. She learned so much during her practicum at People Serving People – Minneapolis Homeless Shelter, working as a family advocate. Family systems therapy draws on systems thinking in its view of the family as an emotional unit. It is based on the theory, which holds that individuals are inseparable from their network of relationships. Heather has always been intrigued by the relationships we hold and enrich, as well as how these relationships effect us individually. Primary therapeutic theories that Heather utilizes include: Cognitive Behavior Therapy, behavior modification, play therapy and multi systemic therapy. She also utilizes spiritual and philosophical healing theories, as her bachelors degrees include psychology and philosophy, from St. Catherine University. Heather is honored to walk along with individuals (children ages 5 to 70 years old), families, and couples on their therapeutic road. 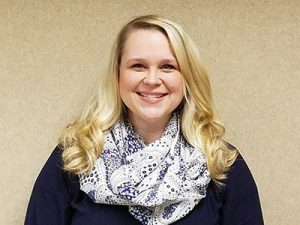 Heather also works as a family therapist at a Twin Cities hospital, working with adolescent and their families during thier inpatient and outpatient healing. She so enjoys working with youth and young adults, as this is a time of vulerablility, growth and such resilience.